Over 1/2 million TV viewers from across Europe tune in each week to watch Arm Wars, the world’s leading professional arm wrestling super series. Explosive Arm Wars promotion is set to rock the FIBO POWER weekend with its own Arm Wars main stage at hall 4.2 featuring some of the world’s leading professional armwrestlers in some explosive match ups across the big weekend. Arm Wars “Ferocity” at FIBO POWER will feature professional armwrestlers from over 10 countries and will be filmed for broadcast on Eurosport, airing in 60+ countries across an 8-10 week period. Further information can be found at www.ArmWars.com or from sports agency Fighters Inc. 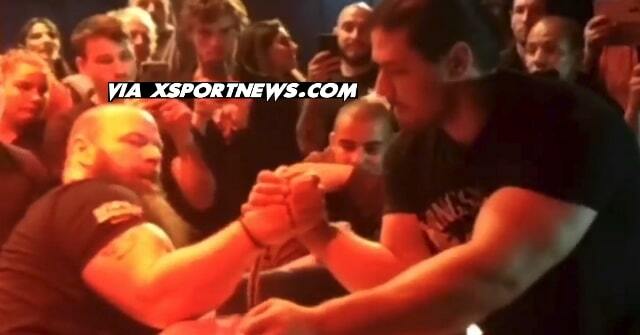 The ARM WARS “INTENSITY” Card scheduled for Fri 4th – Mon 7th of Apr. at The FIBO Power Expo in Cologne, Germany, is starting to take shape with some EXCEPTIONAL Matches planned for the Crowds at Europe’s largest Strength & Fitness Expo. 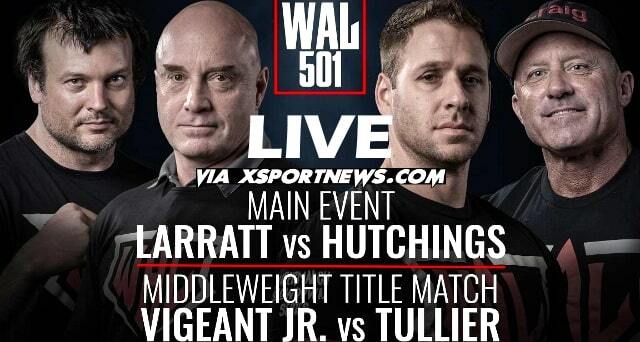 The Event will be headlined by the highly anticipated Middleweight Title Match ups between Reigning ARM WARS Super Series World Champions Craig Tullier / USA & Frode Haugland / Norway, as both Men put their respective titles & their reputations on the line over 6 Rounds in the World Premier Professional Armwrestling Promotion. IT IS ON !!! The ARM WARS “INTENSITY” Card scheduled for Fri 4th – Mon 7th of Apr. 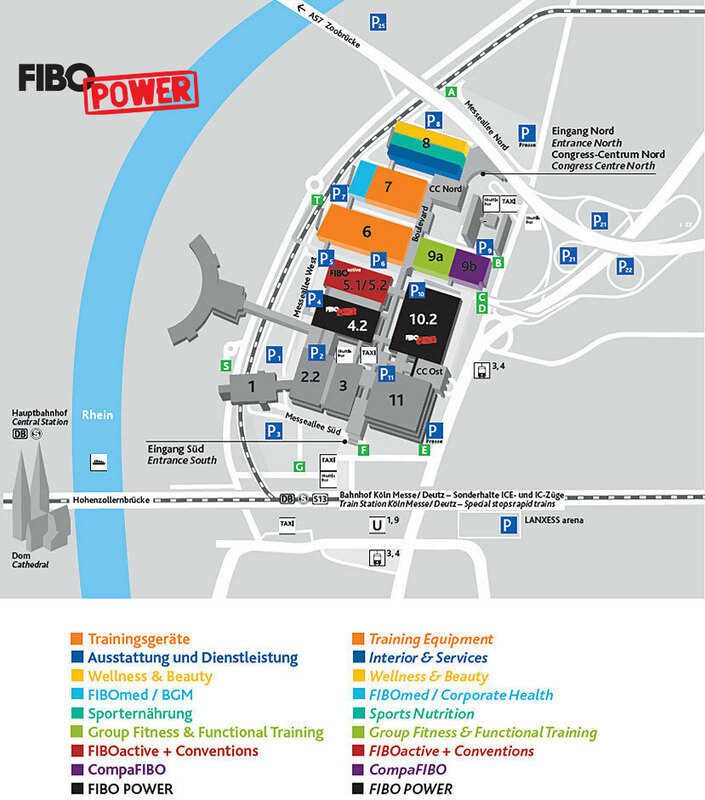 at The FIBO Power Expo in Cologne, Germany, is starting to take shape with some EXCEPTIONAL Matches planned for the Crowds at Europe’s largest Strength & Fitness Expo. 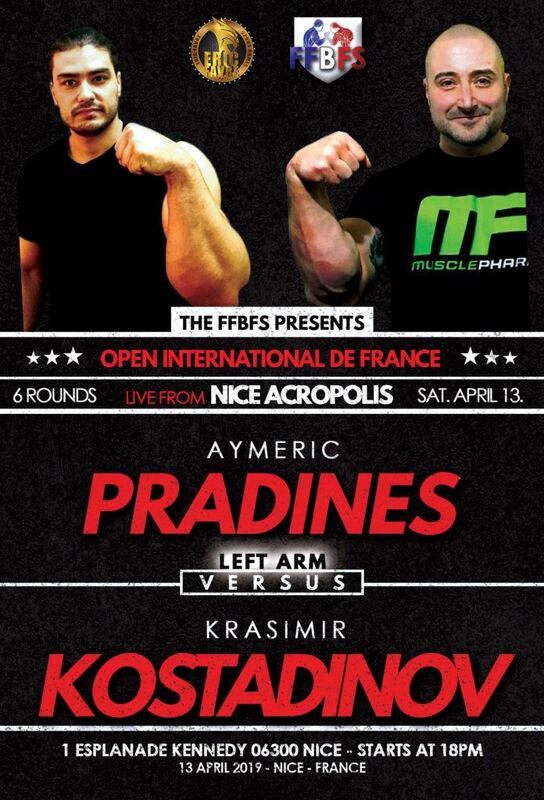 One of the more INTENSE Matches on a Card which takes its title from that most sought after of Match characteristics is the scheduled Heavyweight Clash between Aymeric Pradines of France & returning ARM WARS Super Series stand out Tommi Kokkare of Sweden over 6 Rounds in the Worlds Premier Professional Armwrestling Promotion. IT IS ON !!! The ARM WARS “INTENSITY” Card is scheduled for Fri 4th – Mon 7th of Apr. at The FIBO Power Expo in Cologne, Germany. As usual the Card is STACKED with outstanding Supermatches featuring some of the most talented Armwrestlers in the World. In the Super Series Middleweight Division two rising stars from emerging Armwrestling Nations will Lock ‘n’ Load when Tobias Troels Pedersson of Denmark faces Australia’s Rik “THE OUTCAST” Kamana. WE DON’T STOP !!! The ARM WARS “INTENSITY” Card is scheduled for Fri 4th – Mon 7th of Apr. at The FIBO Power Expo in Cologne, Germany. As usual the Card is STACKED with outstanding Supermatches featuring some of the most talented Armwrestlers in the World. In the Super Series Light-Heavyweight Division Sweden’s “HIGH” Claes Martensson makes his return to the Super Series to face ULTRA INTENSE Dutch Fan favourite “THE THING” Meindert Nentjes. WE DON’T STOP !!! The ARM WARS “INTENSITY” Card is scheduled for Fri 4th – Mon 7th of Apr. at The FIBO Power Expo in Cologne, Germany. As usual the Card is STACKED with outstanding Supermatches featuring some of the most talented Armwrestlers in the World. In the Super Series Ladies Middleweight Division “FIERCE” Annie Fuller, a talented, little Puller trained by “THE HALERAISER” in the Southern U.S. will make her Super Series debut in a Baptism of Fire, against Swedish ARM WARS Star Erika “THE SAPPHIRE” Andersson, in a Match which cannot help but have SERIOUS ATTITUDE. THIS IS WHAT WE DO !!! The ARM WARS “INTENSITY” Card is scheduled for Fri 4th – Mon 7th of Apr. at The FIBO Power Expo in Cologne, Germany. As usual the Card is STACKED with outstanding Supermatches featuring some of the most talented Armwrestlers in the World. In the Super Series Bantamweight Division returning Finnish standout J-P Mantymaa will test his ever improving skills against Left Handed ARM WARS Bantamweight Champion of the World Ted “THE ELF” Wilson of England. WE DON’T STOP !!! The ARM WARS “INTENSITY” Card is scheduled for Fri 4th – Mon 7th of Apr. at The FIBO Power Expo in Cologne, Germany. As usual the Card is STACKED with outstanding Supermatches featuring some of the most talented Armwrestlers in the World. In the Super Series Light-Heavyweight Division Super Powerful Hungarian National Champion “BRUTAL” Peter Kovacs will face his Calm headlong into The Storm that is “MIGHTY” Paul Maiden of England. FASTEN THOSE SEAT BELTS EVERYONE AS THIS RIDE IS GONNA GET BUMPY !!! The ARM WARS “INTENSITY” Card is scheduled for Fri 4th – Mon 7th of Apr. at The FIBO Power Expo in Cologne, Germany. As usual the Card is STACKED with outstanding Supermatches featuring some of the most talented Armwrestlers in the World. In the Super Series Middleweight Division two rising stars are set to EXPLODE as American debutant Daniel Mosier tries to start his Super Series career WITH A BANG against Sweden’s new Star Glenn “THE PROJECT” Bengtsson. WE DON’T STOP !!! The ARM WARS “INTENSITY” Card is scheduled for Fri 4th – Mon 7th of Apr. at The FIBO Power Expo in Cologne, Germany. As usual the Card is STACKED with outstanding Supermatches featuring some of the most talented Armwrestlers in the World. In the Ladies Middleweight Division two Ladies with very different levels of experience will meet at the Table. Arnold Classic Champion & emerging U.S. Star Sophie “THE SERIAL CHILLER” Oppenheimer, of “Team HellFire” will make her Super Series debut against the returning Swedish World Silver Medallist & international Fan Favourite Malin “LITTLE INSTINCT” Kleinsmith. IF EVER there was a Match where Fire & Ice were SET TO THROWDOWN…… IT IS ON at FIBO Power. WE DON’T STOP !!! The ARM WARS “INTENSITY” Card is scheduled for Fri 4th – Mon 7th of Apr. at The FIBO Power Expo in Cologne, Germany. As usual the Card is STACKED with outstanding Supermatches featuring some of the most talented Armwrestlers in the World. Absolute proof of this fact will be seen in the Super Series Middleweight Division at FIBO Power, as two globally established Armwrestling Superstars will Lock ‘n’ Load opposite one another for the second time. Legendary & Lethal in equal measure Multiple WAF Medallist “THE BIRMINGHAM BULLET” Craig Sanders of Great Britain will get the Match he has wanted for 4 years, against Latvian National & WAF World Champion Janis “THE JEDI” Amolins. IT IS ON !!! The ARM WARS “INTENSITY” Card is scheduled for Fri 4th – Mon 7th of Apr. at The FIBO Power Expo in Cologne, Germany. As usual the Card is STACKED with outstanding Supermatches featuring some of the most talented Armwrestlers in the World. In the Super Series Lightweight Division Latvian rising star Raimonds Liepins a Puller both trained & highly rated by World Champion Janis Amolins, will have the opportunity to Dance with THE DEVIL, as ARM WARS Champion of the World “THE HALERAISER” Geoff Hale of Tulsa, Oklahoma, USA makes the trip across the Atlantic to defend his title in the Worlds Premier Professional Armwrestling Promotion. WE DON’T STOP !!! The ARM WARS “INTENSITY” Card is scheduled for Fri 4th – Mon 7th of Apr. at The FIBO Power Expo in Cologne, Germany. As usual the Card is STACKED with outstanding Supermatches featuring some of the most talented Armwrestlers in the World. One of the most potentially exciting Matches on the Card in Cologne will take place in The Light-Heavyweight Division -100kg. as the new rising star of American Armwrestling Jordan Sill will face Latvian National & Former European Champion Raimonds Antonovics. Both men are Genetically gifted for the Sport & both have amassed an impressive record of Big Name victories in the last 12 Months, now each will try to add the other name to that list. IT IS ON !! !